If you are looking for a blinds for your home’s windows, faux wood blinds are an affordable window treatment to enhance your room look and cover your windows. 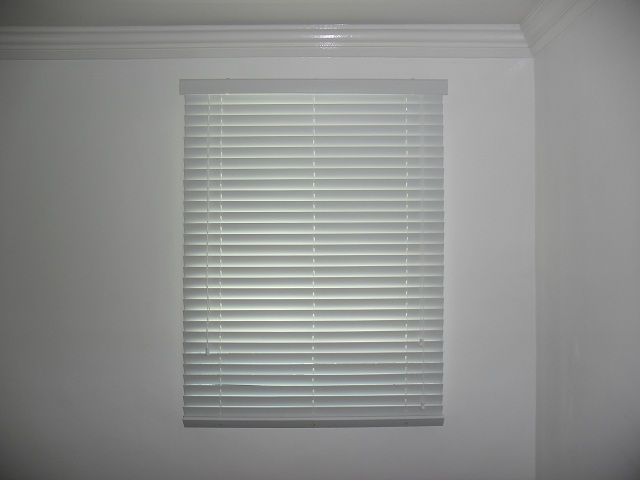 Unlike traditional wood blinds window covering, faux wood blinds can stand overtime without warping or cracking. 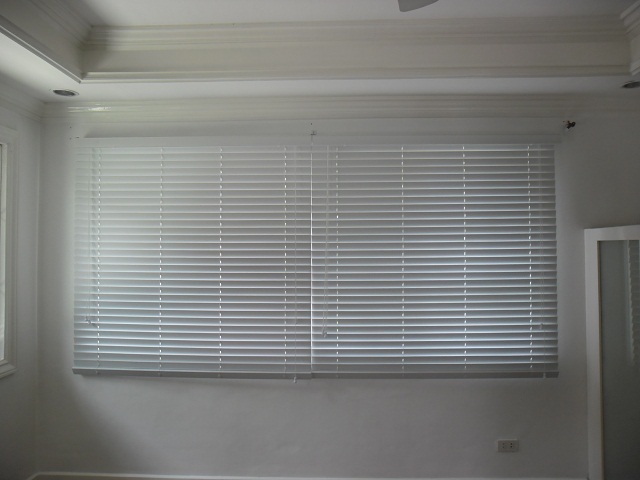 These white faux wood blinds photos are installed from one of our clients at San Lorenzo Village, Makati City. 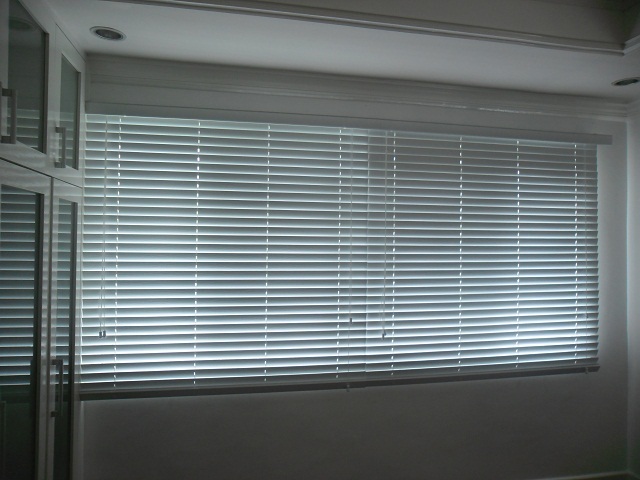 They opted for white color faux wood blinds to compliment their room motif, white, for their soon to open art gallery. You may find the room dull or cold using all white color, however, white color is used most effectively as a neutral background for an art gallery to be highlighted. Faux wood blinds have wide array of colors to choose from, click here. You can choose any color or create a combination of colors according to your preference and we will custom-made it for you. 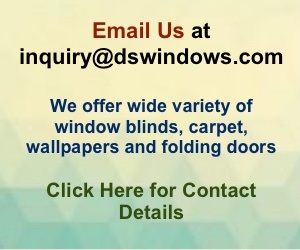 Feel free to reach us at (02) 403-3262 or 0916-311-3909 or inquiry@dswindows.com for any inquiries regarding our products.